StreetRace Fury is a racing game developed by Happylander.com. This game has impressive graphics, suitable for all ages, especially children and families. You can experience this game on your browser because it is a flash game. 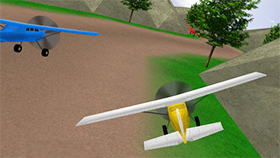 In this game you will be driving different cars and participating in the race. There are two modes of racing for you: Normal mode and Time Mode. In normal mode, you will play against your opponent and try to run to the destination in the shortest time. Time mode will have 3 times for you, each time will have different races and different rewards. You will drive with the perspective of the first person. On the speedometer there will be 3 zones with different colors: Blue - Green - Red. The speedometer will move through these zones. Green will be the zone to help the car reach the fastest speed. 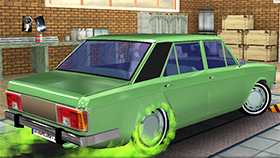 The interesting point in this game is that you can customize your car. You can upgrade it, change colors, buy new tires ... or even buy a new one. However, you need to have money to do this. You will have money by joining the race. Buy a new car or upgrade your car as soon as you can.